With the Xpress IQ from Amana Commercial, it's easier than ever to expand your menu, speed up your service, simplify your process, and serve high-quality food faster. The all new Xpress IQ is faster, safer, and smarter, built with the perfect combination of 3 cooking technologies: convection, impingement, and microwave. This combination cooks food faster and to perfection. Roasting, toasting, grilling, baking - the Xpress IQ can do it all! From pizza to wings, paninis to seafood, and from baked potatoes to even shrimp, the unit is a truly versatile oven. Plus, it features a space-friendly footprint and boasts the largest cooking cavity in its class; it can fit a 12" pizza with room to spare! The Xpress IQ is safer too, with an exclusive drop-down door to prevent burns. The exclusive True-Touch HD touchscreen ensures that operation is intuitive, familiar, and easy for everyone in the kitchen. Just scroll through the options like on your phone. The screen allows you to create, edit, and organize recipes and even use the PC/Mac compatible remove menu management system for convenient access. The Xpress IQ oven is built with thoughtful features that come standard with every oven. Each unit connects to wireless, is ethernet ready, and is Smart USB compatible. And, it's easy to update multiple units within a facility or across facility locations. Fluent in 25 languages, the oven caters to businesses with a linguistically-diverse kitchen staff or customer population. It also holds over 1200 recipes in memory, which is perfect for bistros, cafes, pizzerias, delis, and many other fast casual dining settings. The Xpress IQ features exclusive non-stick liners that are pre-installed and standard, making cleaning fast and easy. And the oven is engineered with a rapid cool down system for fast end-of-the-day shut-down. For maintenance, the front and side filters are removable without tools, and the automatic maintenance task reminder provides on-screen alerts when it's due for a routine check-up. And should you need assistance, Amana offers Comserv World Class Global Service & Support too, 24 hours a day, 7 days a week, and 365 days a year. The all new Xpress IQ high-speed oven: faster, safer, smarter. Built for the modern business, the Amana Xpress IQ high-speed oven delivers superior efficiency, simplicity, and versatility. 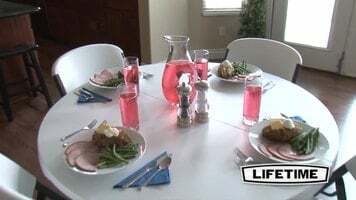 Learn more with this short video overview. 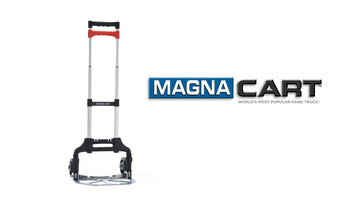 Uncover what makes Magna Cart the world's most popular folding hand-truck. Lifetime's 48" round fold-in-half table is stain-resistant and UV protecting, ensuring it won't crack, chip, or peel. 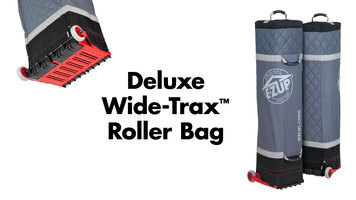 Use it for both your outdoor and indoor events, banquets, and parties!